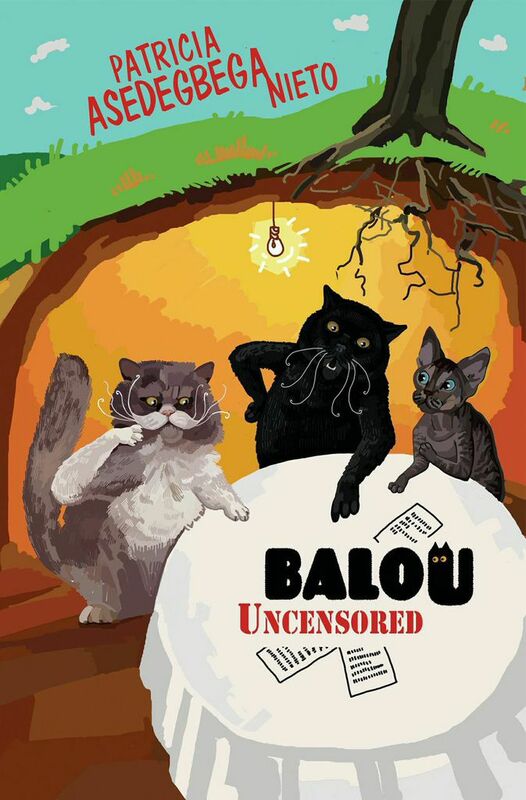 Balou Uncensored is a really special read…. I got it on my kindle at midnight last night and couldn’t put it down until I finished it. Every cat lover should read this book had me laughing, and in tears. The book itself is written from Balou (cat) point of view, he guides the reader through what he feels as a cat, as well as gives readers and their fellow cats his wisdom and tips on how to get what they need and want out of their days, in a heartfelt and funny way. I think one of the parts of this book that stayed with me was the last chapter on love of cats and humans was really beautifully written. Congratulations to Balou and Patricia on the release of the EBook it’s a very enjoyable special read, as well as beautifully written. Smokey and Holly also loved this being read to them at midnight (luck cats) purrs all round from them. I would recommend this book to all cat lovers and animal lover to read together. ← Festive Poem, Santa Is Coming: written By Kirsty. Oh this sounds like an adorable book. I loved Patricia’s ‘I Stand Corrected’! It’s nice to see that she gave Balou a book of his own! I agree it’s great to see that Patricia gave Balou his own book. I really enjoyed reading it..I also like I stand Corrected too. This sounds like a very special read Katie. Thanks for sharing it! I thought this book was a special read, I enjoyed reading it with Smokey and Holly anyway. I hope you’re well and that you have a wonderful Christmas.